A freshman class at UNC Chapel Hill this fall with explore the 9-11 terrorist attacks from a radical Islamists’ point of view. The course will teach kids that the United States was to blame for the attacks that killed three thousand Americans. An English class offered at UNC Chapel Hill this fall called “Literature of 9/11” explores the Sept. 11 terrorist attacks from the perspective of radical Islamists and those who view America as an imperialist nation. The reading assignments for the class, which includes poems, memoirs and graphic novels, present terrorists in a sympathetic light and American political leaders as greedy, war hungry and corrupt, according to a review by The College Fix. The readings mostly focus on justifying the actions of terrorists – painting them as fighting against an American regime, or mistaken idealists, or good people just trying to do what they deem right. None of the readings assigned in the freshman seminar present the Sept. 11 attacks from the perspective of those who died or from American families who lost loved ones. “ENGL 72: Literature of 9/11” is taught by Neel Ahuja, an associate professor of English, comparative literature, and geography at University of North Carolina, Chapel Hill. “Neel grew up in Topeka, Kansas. 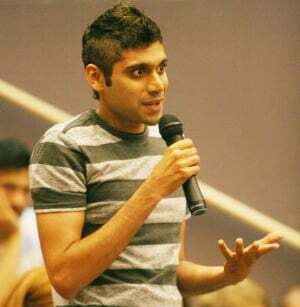 He studied transnational cultural studies at the University of California, San Diego and gender studies at Northwestern University, where he was a student organizer and labor solidarity activist,” according to his online faculty bio. Neel Ahuja, an associate professor of postcolonial studies, teaches the class at the university.